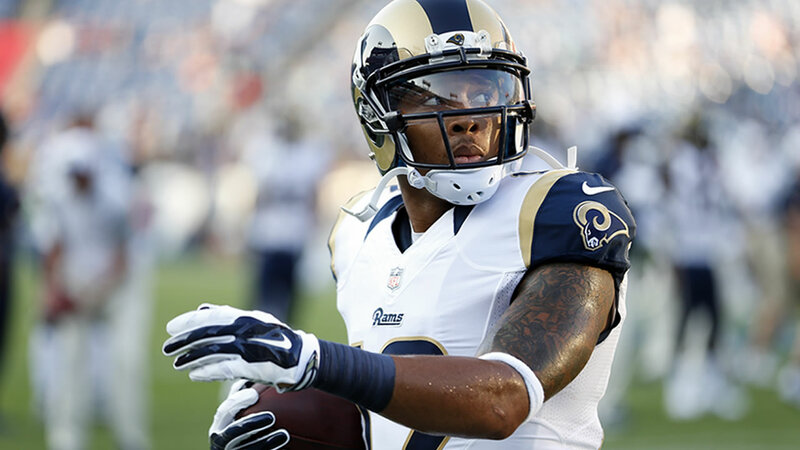 St. Louis Rams third-year wide receiver Stedman Bailey was shot Tuesday night and is in critical but stable condition in a Florida hospital. Bailey was wounded twice in the head and is expected to undergo surgery Wednesday, a source confirmed to ESPN. The Rams released a statement, saying, "We are aware Stedman Bailey was involved in an incident this evening. We have spoken with Stedman and he is in the hospital in critical, but stable, condition. We are gathering facts about the situation and will provide updates as we learn more." Bailey was sitting in a car with several people when he was shot, a source confirmed to ESPN. The driver of the vehicle was shot multiple times while attempting to shield children in the car from bullets. His wounds are more serious. Multiple reports said Bailey was in Miami Gardens, Florida, when he was shot. Bailey went to high school in the Miami area. Earlier this month, the NFL suspended Bailey four games for violation of its policy on substance abuse. Because he was suspended, Bailey was not made available to the media, but he took to his Instagram account to post an extended apology in which he referred to his choices as "idiotic" and "disgraceful." Rams coach Jeff Fisher said Bailey would be able to stay around Rams Park during his suspension but that would be mostly limited to working out. Bailey also was suspended four games for violating the policy on performance-enhancing substances before the 2014 season. That suspension was later reduced to two games after a change in the league's policy. Bailey, who was the Rams' 2013 third-round pick out of West Virginia, had been the Rams' third receiver for most of this season but was rarely involved in the offense. He had 12 catches for 182 yards and a touchdown in the first eight games. His touchdown celebration against the Cardinals, in which he pretended to go to sleep in the corner of the end zone with the football as a pillow, drew a fine for using the ball as a prop during a celebration. "Just going up against an opponent like Arizona, everybody counted us out, so it was just a message to the world not to sleep on the Rams," Bailey said when he learned he was fined. "I kind of knew once I did it to make it quick," Bailey said. "I just stayed on the ground for about three seconds and popped up and celebrated with my team. It's a lesson learned." He is eligible to return to the active roster Dec. 7 after the Rams' game against Arizona. ESPN's Josina Anderson, Nick Wagoner and The Associated Press contributed to this report. 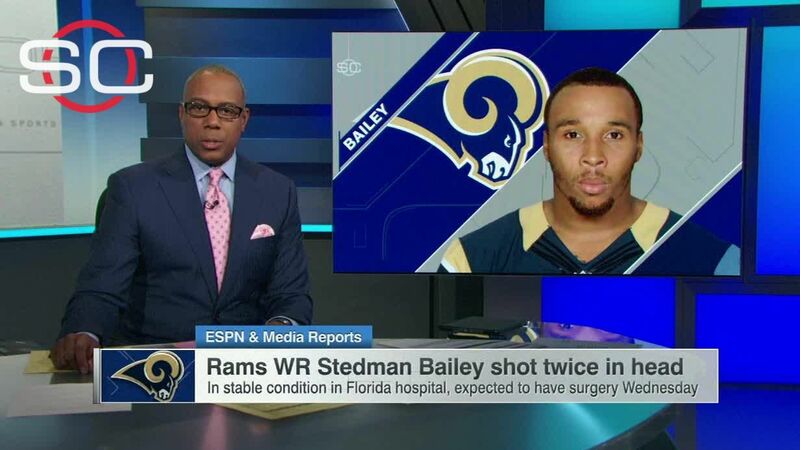 Rams WR Stedman Bailey is in critical but stable condition after being shot twice in the head on Tuesday night.